It's not over yet! 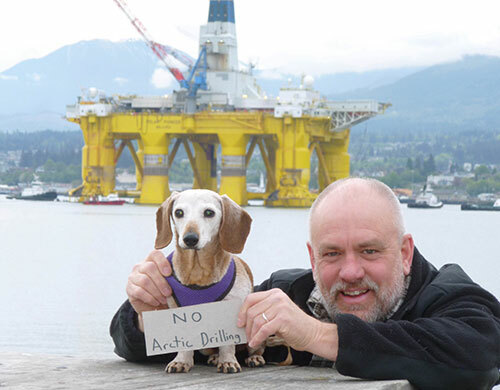 Say ShellNO to Arctic drilling! There’s still time to change course! Take real action on climate change and keep Shell’s dirty drilling fleet out of our Arctic Ocean! As Seattle citizens rise up against Shell's Arctic drilling fleet in Seattle, we can build on this groundswell of resistance. Urge President Obama to keep Shell out of the Arctic Ocean for good. There’s still time to change course for our planet. With your help, we can continue to amplify voices of reason during this ludicrous march to drill in America’s Arctic Ocean! Climate change and melting sea ice already pose an enormous risk to polar bears, walrus, seals and other Arctic wildlife. It makes no sense to add oil spill threats to their struggle. The government’s own plan shows a 75% chance of a major spill in the Chukchi Sea if leases there are developed, and Shell’s previous blunders have shown us how little we should trust Big Oil in the Arctic.